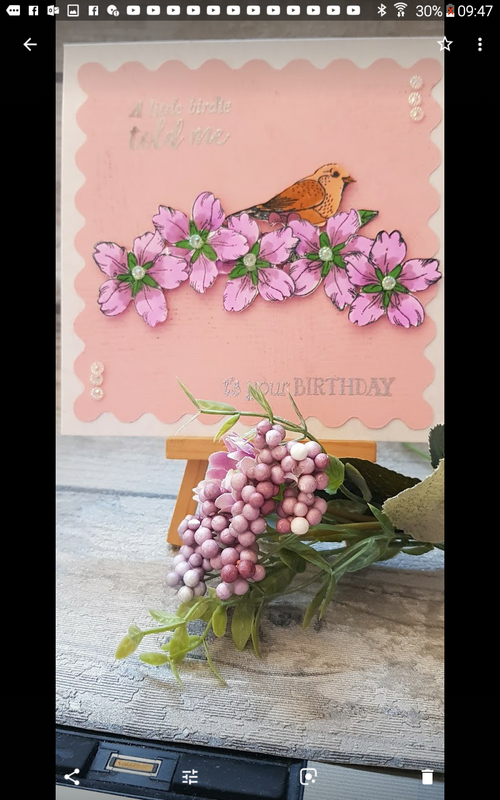 Hi everyone today I made my card using a stamp set that came free with a magazine called Creative Stamping. I have many magazines in my stash which all came with lovely free stamps and dies. I even used my Scan & Cut to cut the flowers. My mission is to make more use of my Scan & Cut as I barely use it which seems really silly when I am sitting fussy cutting images. If you would like to watch my tutorial to this card I will leave a link below.